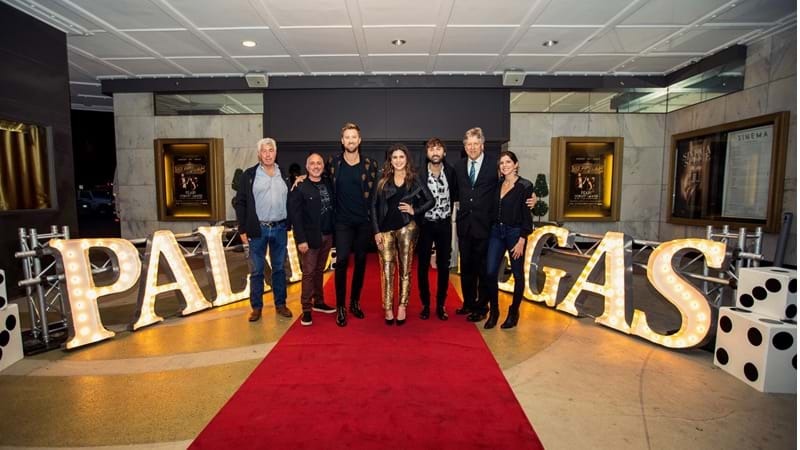 Current CMA Awards Vocal Group of the Year nominees Lady Antebellum has announced their first-ever Las Vegas residency, OUR KIND OF VEGAS, launching February 8, 2019 at the Palms Casino Resort’s Pearl Concert Theater. As the first Country act to headline the venue, the seven-time GRAMMY® Award-winning trio will combine their chart-topping songs with unparalleled production and multidimensional staging. Known for taking their headlining run worldwide, Lady A will bring Nashville to Sin City with stripped-down performances each night that will often feature the songwriters behind the group’s fan-favorite hits. “Las Vegas has always been a special place for us both personally and as a band,” said Hillary Scott. “I’ve celebrated my birthday in Vegas and we won our first award ever as Lady A at the ACM Awards. So, we are looking forward to making it our second home, bringing along some of our friends from Nashville and creating a show unlike we’ve ever put together before." Live Nation is the official promoter for the one-of-a-kind residency with tickets becoming available to fan club members Monday, October 29 before the public on sale Friday, November 2 at 10:00A PT through www.ticketmaster.com/LadyA.